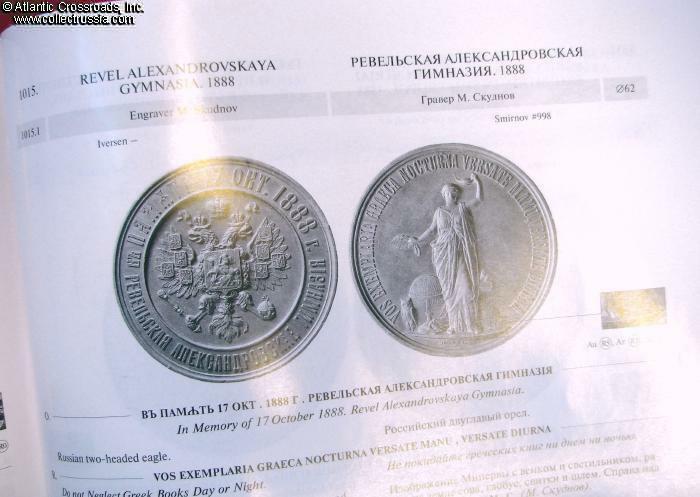 "Medals of the Russian Empire, Part 6, 1881-1894", Mikhail Diakov, C 2006. 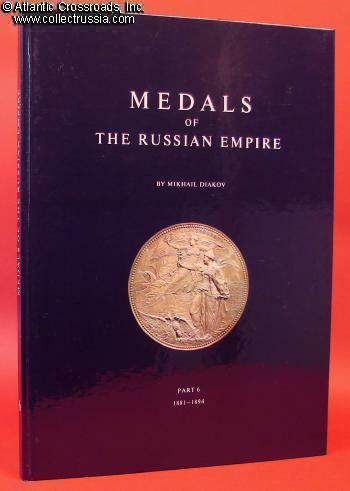 "Medals of the Russian Empire, Part 6, 1881-1894", Mikhail Diakov, C 2006. 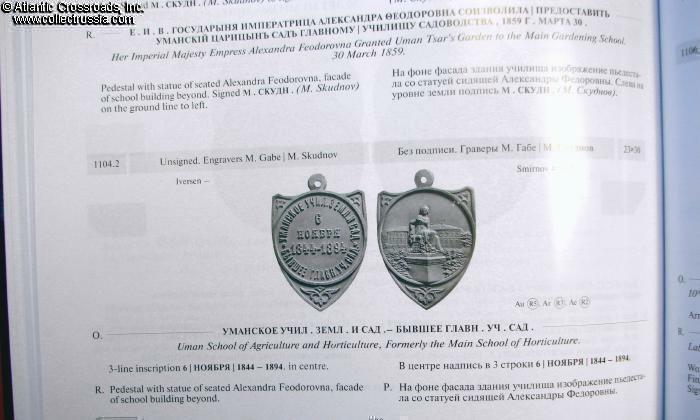 In English and Russian, 2006. Large format, 9" x 12.5"; hard-cover, 216 pp. Part 6 of the groundbreaking series by Mikhail Diakov, preceding the final volume. 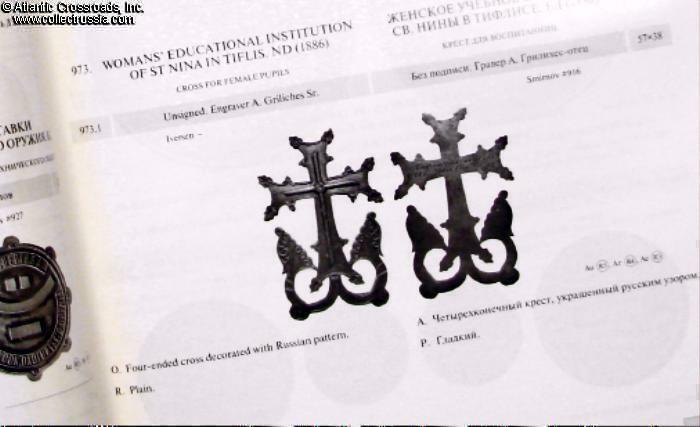 This part presents and illustrates medals, table medals, jetons and crosses produced by the Mint during the reign of Alexander III. 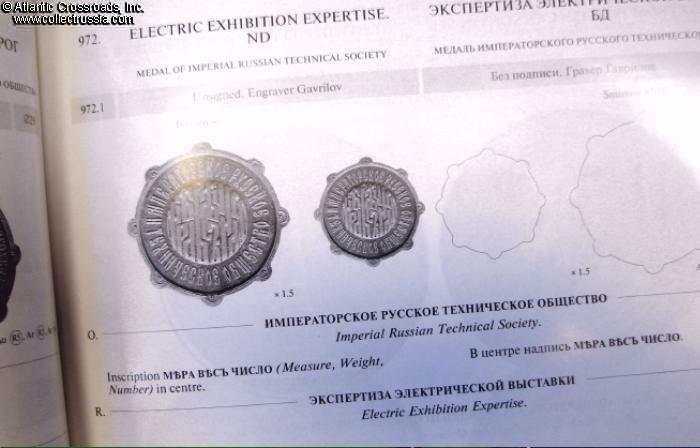 Some of the medals and variations shown are published for the first time. Unprecedented, exhaustive presentation of all the St. Petersburg mint's productions other than coins. Unlike any previous publications it covers the Novodels, medals officially made by the mint for collectors, in metal other than that of the original issues. 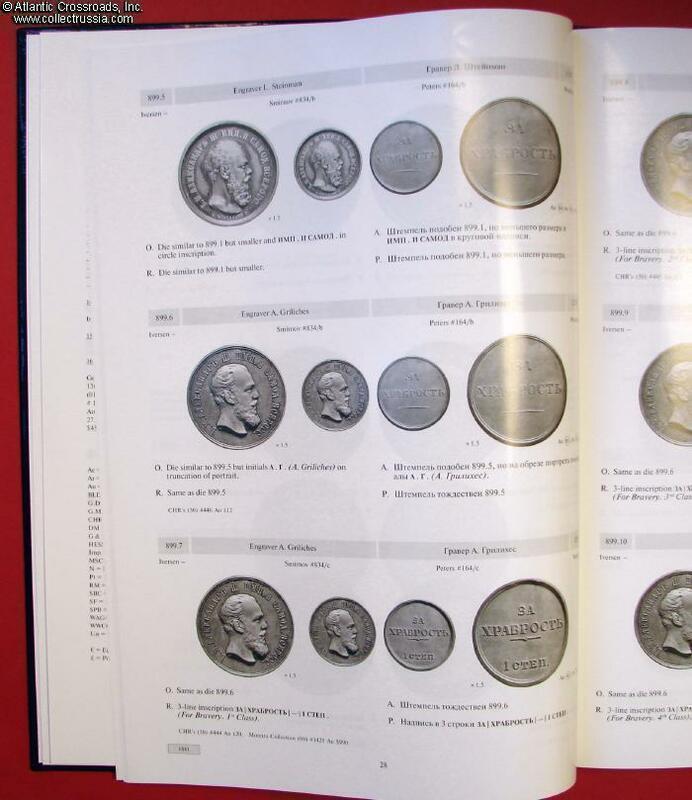 Photos are accompanied by enormous amount of information about each specimen, including group number and name, date, cross-references to well-known catalogues, names of the engravers, diameter, die cutter's initials, inscriptions, close-ups of significant medal fragments, as well as other relevant characteristics. Some of the medals in this volume have auction prices realized and the year / number of the auctions - an extremely helpful feature. 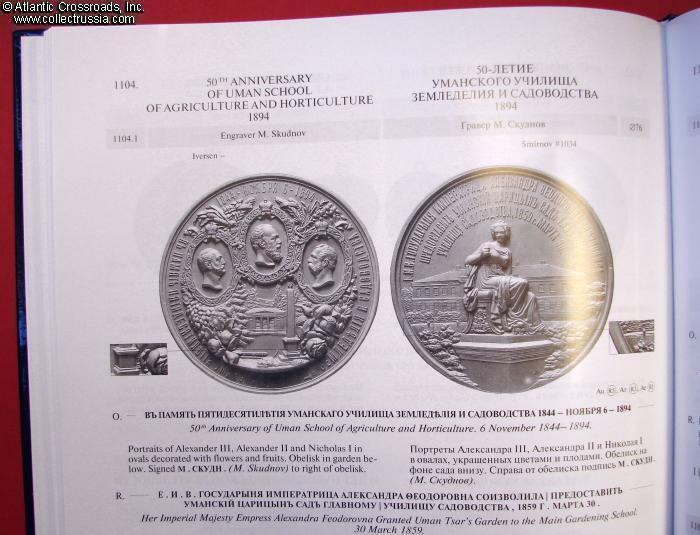 For easier search the author offers an alphabetical index of Russian and Latin legends, as well as an index of the medals divided into several categories. 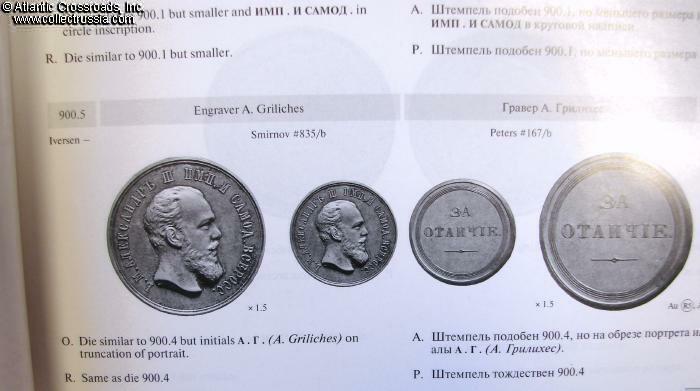 Outstanding, extremely innovative study, presented from a numismatist's viewpoint. This book will most certainly become the ultimate reference in the field. Content mint. Binding is tight. Integral silk bookmark. The laminated cover appears shop worn with light scuffs and a few light scratches, otherwise in excellent condition.